This week we had the great pleasure of welcoming back Rob & Simon for their 7th trip to the venue. After a hectic build up to the session, the guys were really excited to be back at what they refer to as their second home. 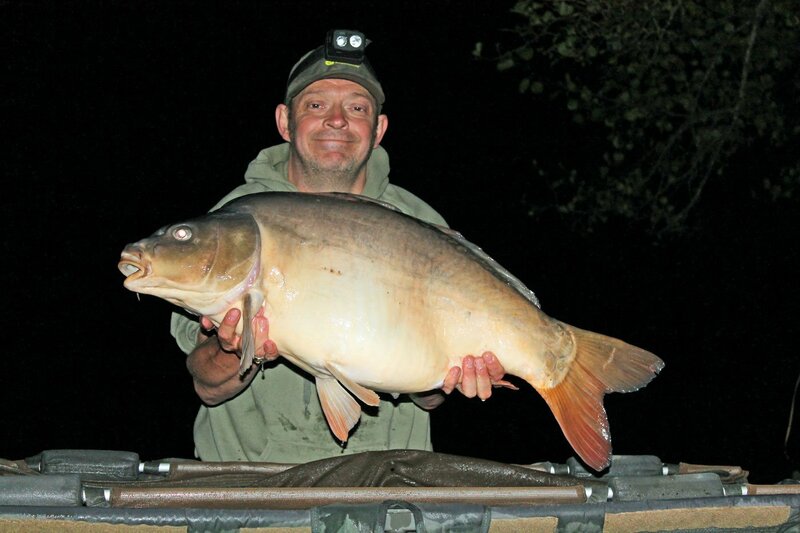 Over the years, they’ve had their share of Beausoleil stories and after both of them having their best ever session last year, they were just happy to be back on the bank, share some good times and see what the carp gods had in store for them this time. As usual they’d read every catch report since they last visited and of course they wanted to hear more about Max’s incredible session. We could have talked for hours of course but after a good catch up we left the guys to get setup and enjoy the place. By Monday, Rob had banked a kitten and Simon, just the one good carp. With time so precious at home, the guys had only managed one quick fishing trip since their last visit to us and the old skills had gotten a little rusty as a result. I knew a few tweaks was all that was required and pretty soon they were back in the game. On Wednesday, Simon had upped his score to three but Rob was still struggling. 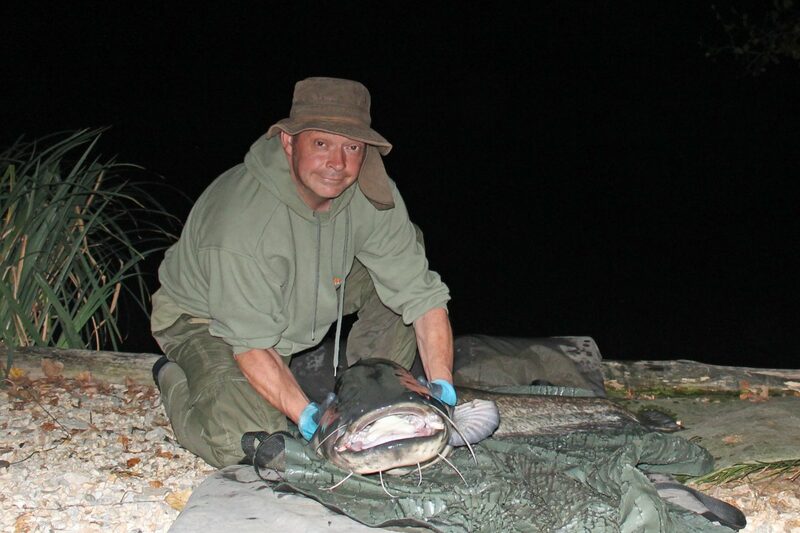 Then shortly after we arrived, Simon bagged a nice mid twenty and then Rob finally got the pickup he badly wanted and banked the stunning Earl Grey at 33lbs 12oz. It was fabulous to share the moment with the guys and Rob was absolutely buzzing with excitement. That’s more like it! On Thursday, Rob lifted into what he thought was a small kitten. It seemed to grow and become stronger rapidly and it wasn’t long before his 3.5lb TC DF Infinity was hooped over in an alarming curve as it lead him a merry dance from point ‘C’, through point ‘B’, deep into point ‘A’ and the home swim and then back to where it was hooked (open water opposite the Big Double)! That small kitten turned into a very nice 71lb specimen! I would like to thank you and Ren for creating an absolute perfect piece of magic together which I feel privileged to fish and share with you. You should be very proud of what you have made and the joy that the two of you give to others. 11/10 is being modest. Keep practicing that hook sharpening. On Saturday Rob was very coy about numbers which is usually a good sign. After such a long break away from fishing, it just took a few extra days for the skills to come back to them. 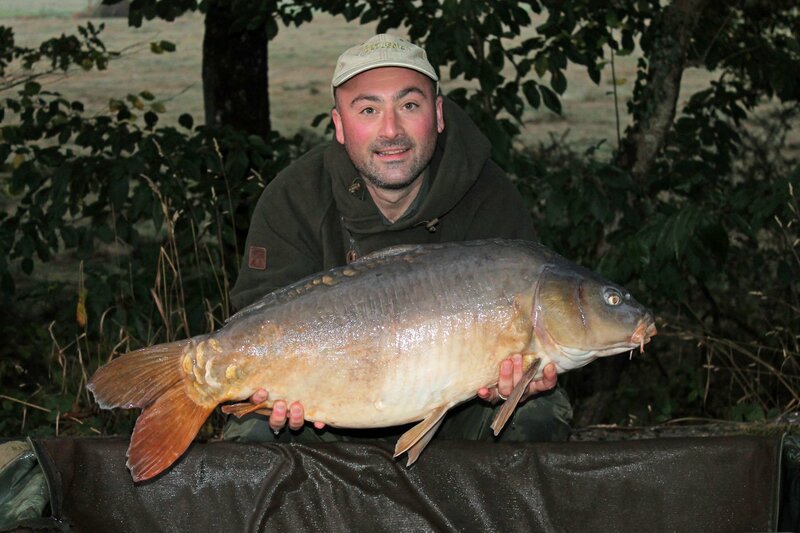 Rob said that once he’d remembered how to sharpen his hooks, the runs just came…. In fact they banked seven fish on Friday alone. This is a classic example of the difference that properly hand sharpened hooks make. Do it right you’ll catch, and you’ll make it look easy. Do it wrong and it’s going to be a quieter week. 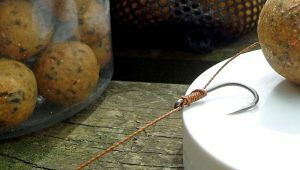 He even managed to nail a massive roach on 2 x 20m bottom baits such was the sharpness of his hooks. The poor thing must have just brushed against it while going for the boilies and rigged itself up. It must have been a decent size as it dragged the 3.5oz lead some distance away from the spot it was placed. 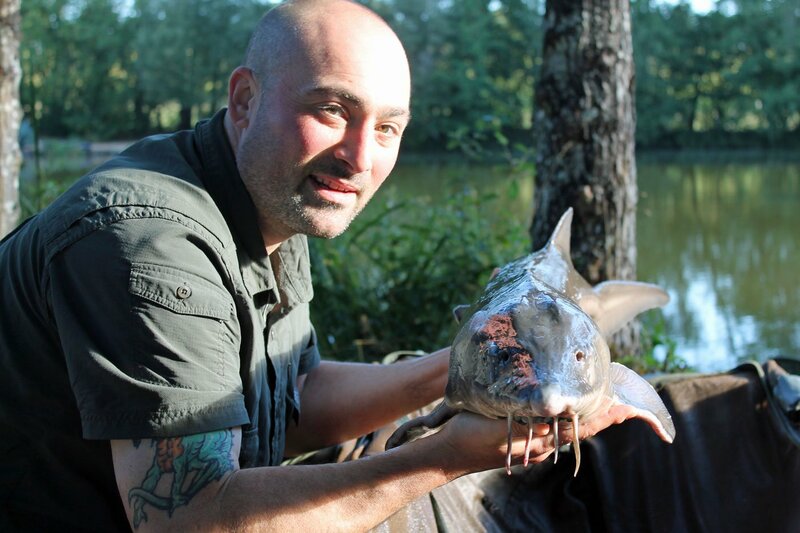 Simon confirms we have 2 sturgeon! This week Simon became the 2nd angler this year to catch two different Sturgeon at two different weights during the same week and noted one definitely has a small cut just above the eye (it’s healing nicely). He was very particular about zeroing off the pre-wetted weigh sling too and there is a couple of lbs difference between them at the minute. 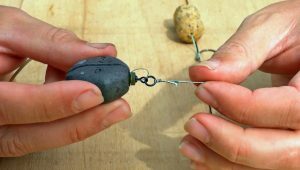 Rob and Simon mainly use our bait and padded it out with some mainline cell. The majority of the fish fell for the Nutty Banoffee flavour. 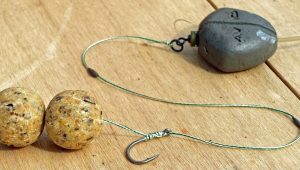 On the rig front standard double bottom bait Beausoleil rigs were the main angle of attack but between us we came up with something a little different which they’ve named the “YaYa” rig. Yet another little Beausoleil story that keeps us entertained through the long winter months! Simon has such confidence in our bait that he ordered extra to take home with him for his next fishing adventure! Planning your first visit to Beausoleil? Don’t forget to book your set up tutorial: the best way to maximise your chances from day one. 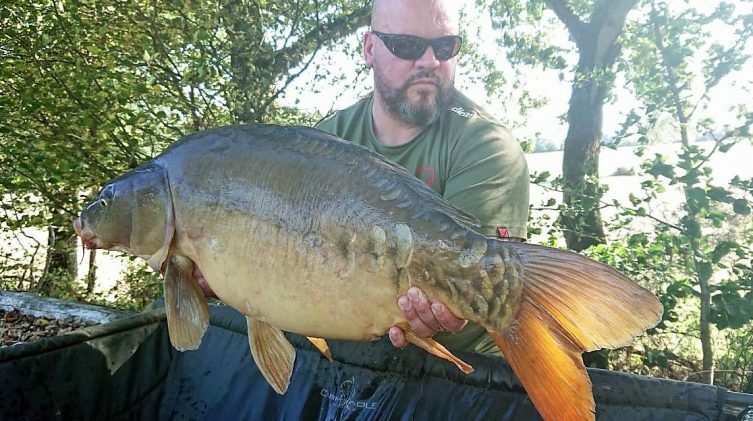 Both Simon and Rob were fishing the same swims as last year when they had 23 fish in total but the marginal spots from last year weren’t as productive and they had to move their rigs about to find new ones and most of the fish came out from open water. 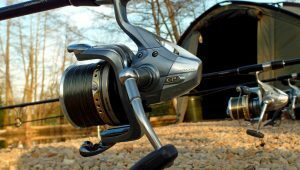 The lake changes all the time so if you are a returning customer and last year’s spots aren’t working for you then moving traps about is definitely the way forward. The guys know that if you can average a fish a night here then you’ve done well. With 14 fish split equally between them that’s exactly what they managed. 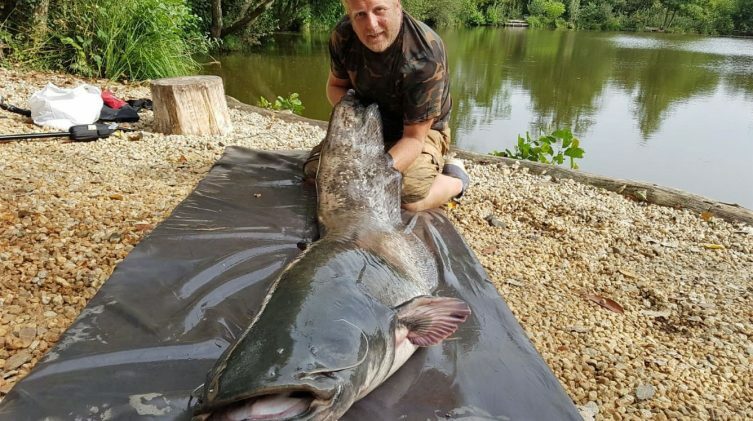 Beausoleil continues to be a challenging and surprising venue even for those that have been fishing it for years and that’s exactly what brings Rob and Simon back each year. You never know how it’s going to pan out. 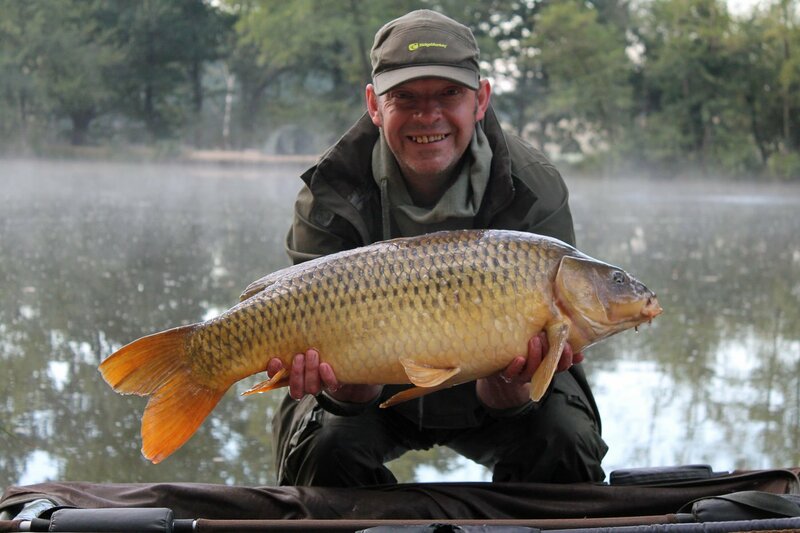 To see all the fish from Simon and Rob’s session, click here. Point A, B, C, Big Double & Island point. Most fish came from open water. Even if you don’t want to fish the nights it would be worth the effort to get up an hour before sunrise. Always listen to Matt’s advice. Please give your kittens to the local cattery!